Jon Anderson, born John Roy Anderson on 25 October 1944, is an English musician, best known as the lead singer of the progressive rock band Yes. He is also an accomplished solo artist, and has collaborated with the Greek musician Vangelis, as part of the duo "Jon & Vangelis". Early life and childhood Jon Anderson was born in the town of Accrington, Lancashire, England, in a family of Scottish and Irish ancestry, his parents being Albert and Kathleen Anderson. He was later to drop the "h" from his first name in 1971, as he had a dream where he was given the name "Jonathan". Jon Anderson was born in the town of Accrington, Lancashire, England, in a family of Scottish and Irish ancestry, his parents being Albert and Kathleen Anderson. He was later to drop the "h" from his first name in 1971, as he had a dream where he was given the name "Jonathan". Thus, on The Yes Album he is still credited as "John", and on the next album Fragile, credited as "Jon". In 1962, Anderson joined The Warriors (also known as The Electric Warriors), where he and his brother Tony shared the role of lead vocalist. He quit this band in 1967, released two solo singles in 1968 under the pseudonym Hans Christian Anderson, and then briefly sang for the bands The Gun and The Open Mind. In the summer of 1968, Anderson met bassist Chris Squire and joined him in a group called Mabel Greer's Toyshop, which had previously included guitarist Peter Banks. Anderson fronted this band, but ended up leaving again before the summer was over. He remarks on his website that his time with the band consisted of "too many drugs, not enough fun!" He rejoined a reformed Yes in 1983 which produced their most commercially successful album 90125 with newcomer Trevor Rabin, and departed again in 1988 over the band's continued pursuit of major commercial success and mainstream radio play. In 1989, Anderson and other former Yes members formed the group Anderson, Bruford, Wakeman, Howe (ABWH), augmented by bassist Tony Levin who had played with drummer Bill Bruford in King Crimson. After the successful first ABWH album, a bizarre series of business deals caused ABWH to reunite with the then-current members of Yes, who had been out of the public eye while searching for a new lead singer. The resulting eight-man band assumed the name Yes, and the album Union (1991) was assembled from various pieces of an in-progress second ABWH album as well as recordings that "Yes proper" had been working on, without Anderson. A successful tour followed, but the eight-man lineup of Yes never recorded a complete album together before splintering in 1992. Many more personnel changes followed, but Anderson has been with the band ever since. He appears on all Yes albums except their 1980 album Drama. Anderson was fond of experimenting within the band, also adding to what were at times conflicted relationships within the band and with management. He originally wanted to record the album Tales from Topographic Oceans in the middle of the woods, and instead decided to put hay and animal cut-outs all over the recording studio, causing lice to infest one of Rick Wakeman's keyboards. In another incident, Anderson had tiles installed in the studio, to simulate the echo effect of one's vocals in a bathroom. Anderson last performed with Yes in 2004. A tour planned for summer 2008 with Anderson was cancelled when he suffered acute respiratory failure. The band have since announced a tour without him and he has been replaced by Beno?t David, singer in a Yes tribute act Close to the Edge. It is a commonly held misconception that Jon Anderson sings falsetto, a vocal technique which artificially produces high, airy notes by using only the ligamentous edges of the vocal cords; however, Jon Anderson does not sing falsetto. His normal singing (and speaking) voice is naturally above the tenor range. In a 2008 interview with the Pittsburgh Post-Gazette, Jon stated, "I'm an alto tenor and I can sing certain high notes, but I could never sing falsetto, so I go and hit them high." Anderson is also responsible for most of the mystically-themed lyrics and concepts which are part of many Yes releases. These elements are crucial components of the classic Yes sound, but have occasionally alienated some members of the band (most notably Bruford and Rick Wakeman), contributing to their leaving the group. The lyrics are frequently inspired by various books Anderson has enjoyed, from Tolstoy's War and Peace to Hermann Hesse's Siddhartha. A footnote in Paramahansa Yogananda's Autobiography of a Yogi inspired an entire double album Tales from Topographic Oceans (1973). Recurring themes include environmentalism, pacifism and sun-worship. In 1970, Anderson sang as a session singer on King Crimson's Lizard album, on the track "Prince Rupert Awakes", as it was outside the range of the then Crimson vocalist, Gordon Haskell. In September 1975, Anderson guested on the Vangelis album Heaven and Hell. When Anderson and Wakeman left Yes early 1980, Anderson started recording again with Vangelis and by summer 1980 Jon & Vangelis had released Short Stories, followed in November by Jon's solo album Song of Seven and a major UK tour with The New Life Band. Guested on Rick Wakeman's 1981 concept album 1984. In 1983, Jon worked as vocalist for Mike Oldfield's release of "In High Places" from the album Crises, and the song "Shine". He has also guested with Bela Fleck and the Flecktones. The song "Cage Of Freedom" was also featured on the 1984 soundtrack for the re-release of the classic black and white movie Metropolis. In 1985, Anderson's song "This Time it Was Really Right" was featured on the soundtrack for the movie St. Elmo's Fire. He also sang "Silver Train" and "Christie" on the film soundtrack Scream for Help. Also in 1985, along with Tangerine Dream he recorded the song "Loved by the Sun" for the film Legend directed by Ridley Scott. The 1986 film Biggles: Adventures in Time features a song sung by Jon. In 1987, Jon Anderson guest vocals on "Moonlight Desires" on Gowan's album Great Dirty World. In 1988, Jon Anderson has a vocal appearance on "Stop Loving You" on Toto's album The Seventh One. On the 1992 album Dream by Kitar?, Jon adds lyrics and vocals to the songs "Lady of Dreams", "Island of Life" and "Agreement". In 1994 Jon Anderson sang on the 7th Level children's video game Tuneland. 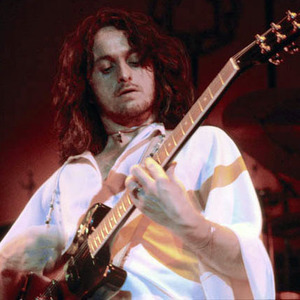 In 1999 while 4Him was recording the song "The Only Thing I Need" for the special multi-group album "Streams", Jon Anderson offerd his assistance as vocalist for the main chorus. In 2004, Anderson appeared with the Contemporary Youth Orchestra of Cleveland. The concert was recorded and released for the orchestra members, but was never publicly released, to the dismay of many concert attendees. In 2006, Animation was finally released on CD but was sourced from a worn vinyl record. The mastering was also poorly done and was overly loud and distorted. The second pressing used a better source although the sound quality still leaves a lot to be desired. Voiceprint denies any differences between pressings. In a 2006 tour, the Trans-Siberian Orchestra (East Coast Troupe) got Anderson to appear in 2 concerts on December 16 in Philadelphia, PA to play "Roundabout". In 2007, Anderson toured with The Paul Green School of Rock Music, finishing the tour with two sold out shows at B. B. King's Bar and Grill in New York City. He also contributed vocals to the new album from American Progressive rock group Glass Hammer "Culture of Ascent". Jon appears on the new Dream Theater album Systematic Chaos, as part of a vocal ensemble on the fifth track "Repentance". The album was released on June 5th, 2007. On the 2008 album Namah by Peter Machajdik, Jon adds lyric and vocal to the song "Sadness of Flowing". Jon also contributed lyrics, musical collaboration and vocals in 2008 on the remaster of the former Blue Oyster Cult keyboardist Tommy Zvoncheck's CD, titled "ZKG." Jon Anderson's children include daughter Deborah Anderson (who has done work singing for the French electronica band T?l?popmusik on the album Angel Milk, released in summer 2005), Jade Anderson (who has released a solo album in Japan) and Damion Anderson (also a musician). Anderson was a smoker in the 1960s and 70s but now prides himself on a much healthier lifestyle. In the mid 70s, Anderson became a vegetarian, as did most members of Yes; however in a recent interview he states, "I was a veggie for a while, but again I grew out of that. But I do eat very healthy." In an 16 August 2006 interview on The Howard Stern Show Jon said he eats meat, mostly fish on occasion. In the interview, he also stated he had a spiritual adviser that "helped him see into the fourth dimension". To this day, before live performances he often meditates in a tent with crystals and dreamcatchers, a practise he started in the 1980s. He considers himself to be part of the "elf culture" and this revelation occurred during a trip on mushrooms, which he experimented with once a year until recent years. Jon attributes certain abilities, including being able to play the piano, to a back injury. Anderson now refers to the reason for Yes's breakup(s) to be from over-touring. His current projects include a rock fantasy camp. Anderson's religious beliefs are syncretic and varied, including respect for the Divine Mother Audrey Kitagawa. He has worked with the Contemporary Christian music band 4HIM: in 1999, his vocal was featured on the song "The Only Thing I Need", which appeared on a various artists CD entitled Streams. One of Anderson's passions is his painting and uses his art as yet another channel for his creativity and self expression. His artwork is available to view on his official website. On May 13, 2008, Anderson suffered a severe asthma attack which required a stay in the hospital. According to Yes' website, he is "currently at home and resting comfortably." Yes' planned summer 2008 tour was subsequently cancelled, with the press release saying, "Jon Anderson was admitted to the hospital last month after suffering a severe asthma attack. He has now been diagnosed with acute respiratory failure and was told by doctors this weekend that he needs to rest and not work for a period of at least six months or suffer further health complications." In September 2008 John wrote that he's "so much better...so grateful and so blessed...I look forward to 2009 for the ?Great Work? to come." Since 2007, Jon has been collaborating with Alimar. Their repertoire includes orchestration of Jon's drafts by Alimar, brain-storming, and bringing to fruition new ideas and joint musical compositions, and the addition of Jon's vocals included on Alimar's songs.